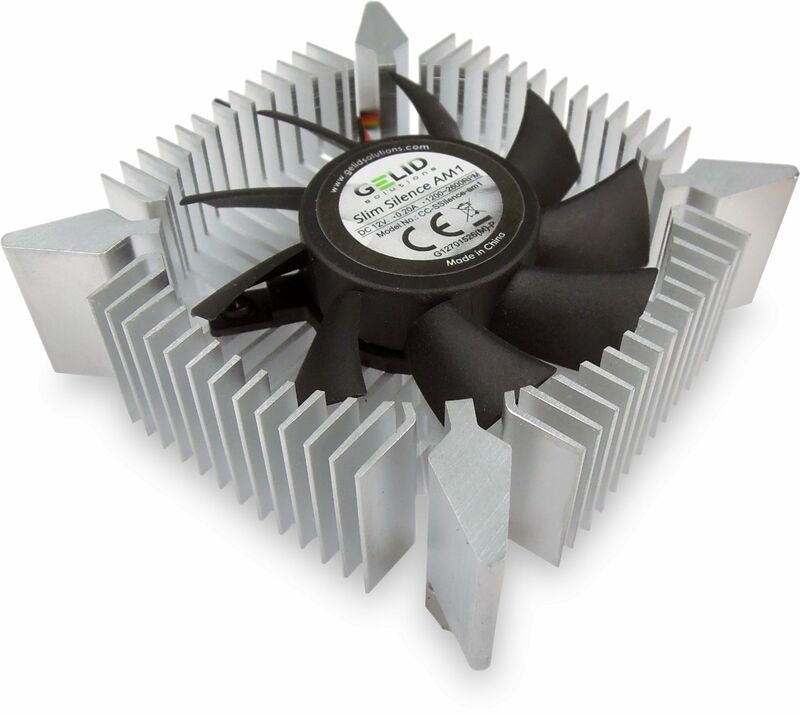 Gelid AM1 offering is only 26mm tall and features a quiet fan and easy installation. Gelid's Slim Silence AM1 cooler comes with a quiet 70mm fan that provides high airflow and has an intelligent PWM controller which provides additional air flow only when it is really necessary. With a height of only 26mm this cooler is especially designed for slim chassis with limited space.